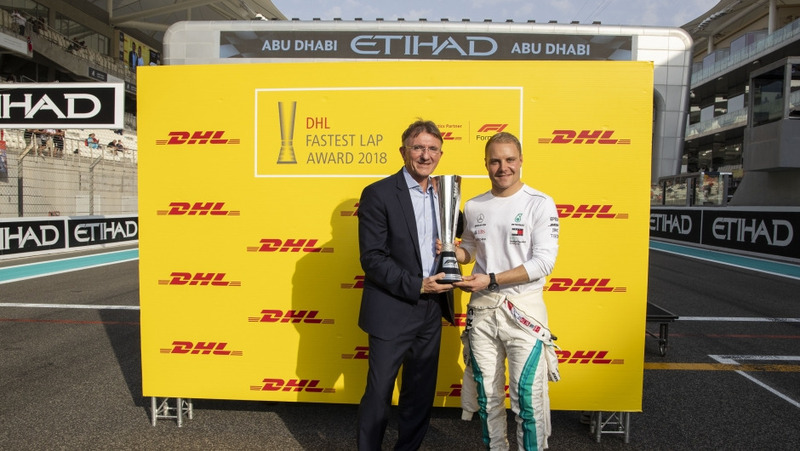 As Official Logistics Partner of Formula 1, at the Abu Dhabi Grand Prix, DHL once again presented the DHL Fastest Lap Award for the highest number of fastest laps and the DHL Fastest Pit Stop Award to the team that consistently achieved the fastest pit stops over the course of the season. 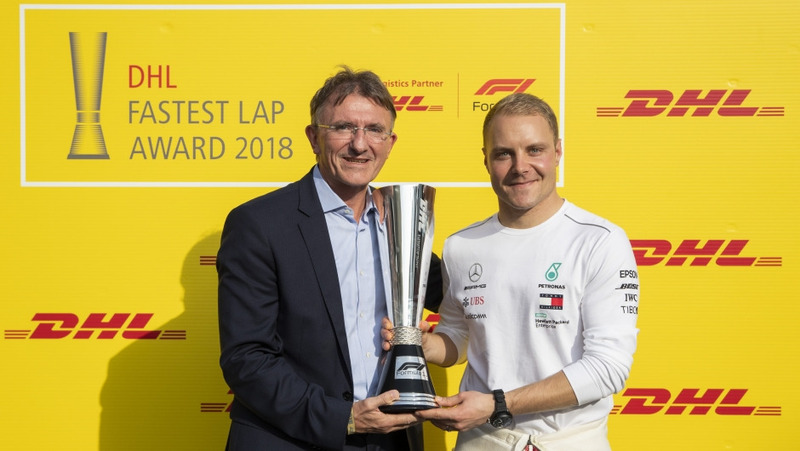 Valtteri Bottas, who is currently driving for the Mercedes AMG Petronas Motorsport team, won the DHL Fastest Lap Award for this Formula 1 season. The Aston Martin Red Bull Racing team received the DHL Fastest Pit Stop Award which was only decided in the final Grand Prix of 2018 in Abu Dhabi. 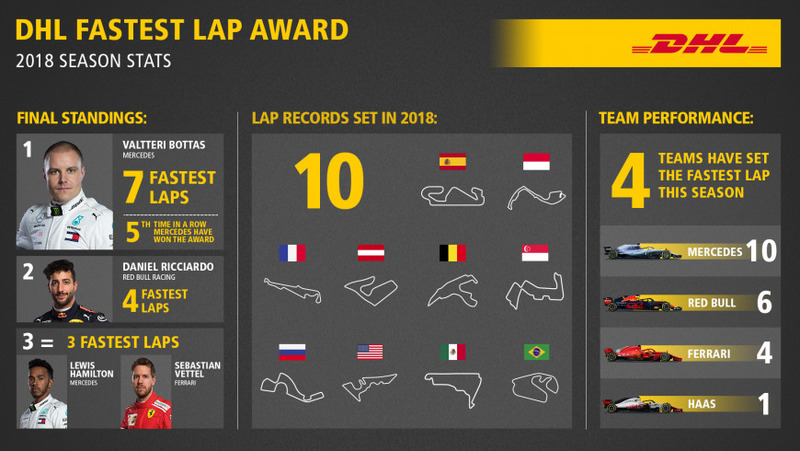 The DHL Fastest Lap Award and the DHL Fastest Pit Stop Award were presented at the final Grand Prix of the season in Abu Dhabi on November 25, 2018. This was the first time for Valtteri Bottas to win the much-coveted award. 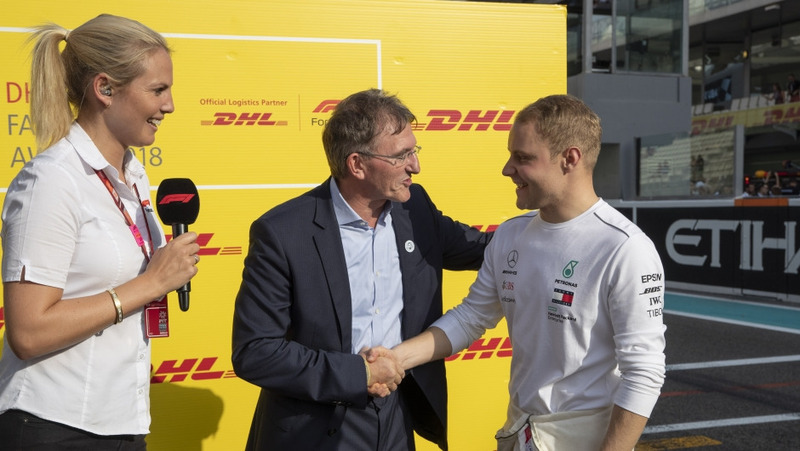 By contrast, it has become almost routine for Mercedes: It is the fifth time in a row that a Mercedes driver has won the DHL Fastest Lap Award. The Award had previously been won by Lewis Hamilton (in 2014, 2015 and 2017) and by Nico Rosberg (in 2016). This makes Mercedes the most decorated team in the Award’s history. Previously, Mercedes had been neck and neck with the Red Bull Racing team, which has already won the Award four times. It was presented to Sebastian Vettel in 2009, 2012 and 2013 and to Mark Webber in 2011. The DHL Fastest Lap Award was established in 2007 to recognize the driver who most consistently demonstrates pure speed, with the fastest lap at the highest number of races each season. 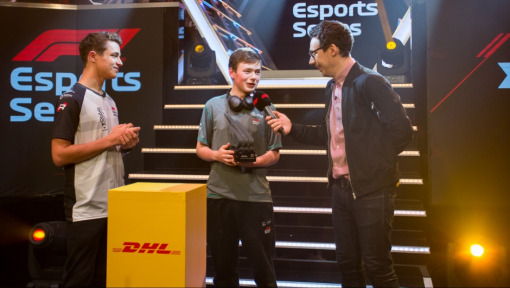 The award embodies DHL’s characteristics of excellent performance, speed, reliability, precision and teamwork – all of which is needed for the winning driver to be successful across the season. New tire compounds enabled a good number of lap records to be set during the 2018 season, with best times being recorded in Spain, Monaco, France, Austria, Belgium, Singapore, Russia, the US, Mexico and Brazil. As well as this, a very special record was achieved this year. Kimi Räikkönen set the record for the fastest lap in Formula 1 history during qualifying for the Italian Grand Prix, achieving an average speed of 263.588 km/h. 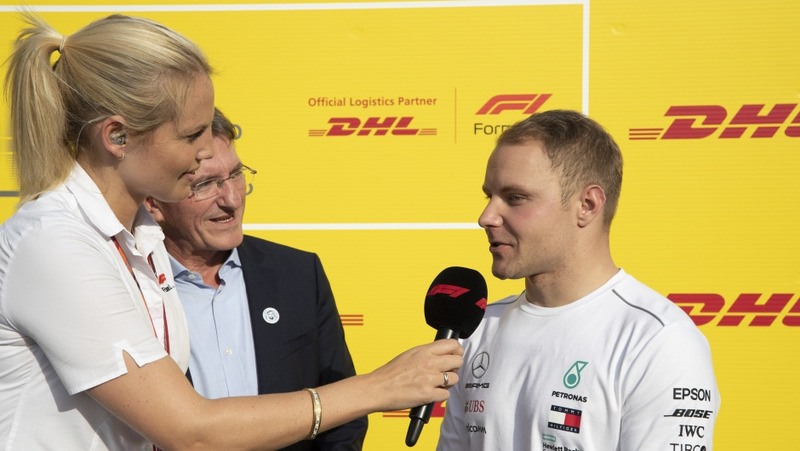 Valtteri Bottas, who finished a respectable fifth in the Formula One World Championship, was delighted to receive his award. “I’m happy to receive this trophy. It was quite a tough season for me personally, I was expecting more, but receiving this award brings back positive memories from this year. It also shows that I had a very decent pace in most of the races. I’ll find a special place for this trophy back at home,” Bottas said. DHL has been involved in Formula 1 for over 35 years. 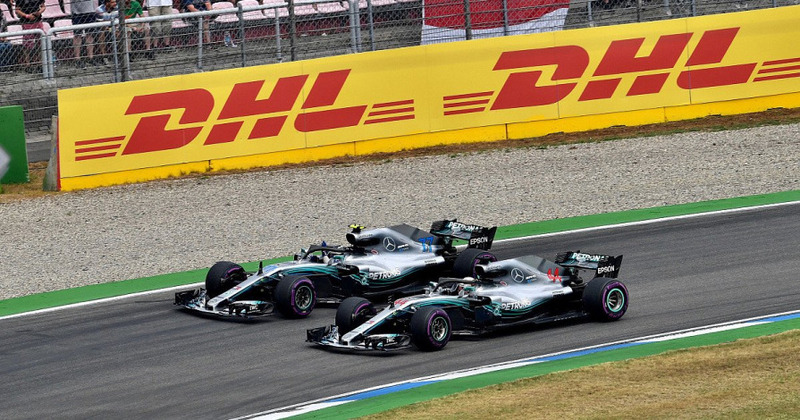 As Logistics Partner, the company ensures that the demanding logistics requirements of the elite world of motor racing are met without a hitch. DHL delivers vehicles and replacement parts as well as marketing and hospitality equipment to race venues around the world via air, ocean and land freight solutions.